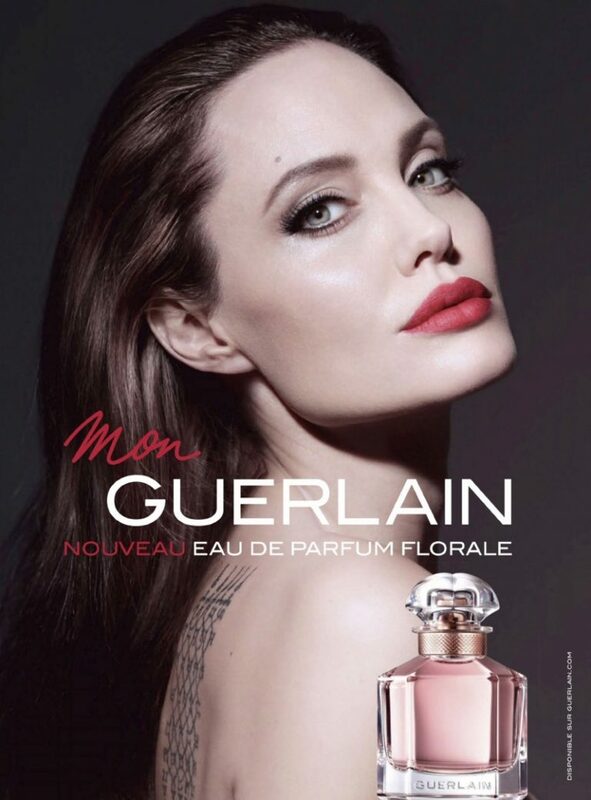 French perfumer Guerlain enlists superstar Angelina Jolie for the campaign of its Mon Guerlain Eau de Parfum Florale Campaign. The 42 year old is a stunning and captivating sight as she bares her tattoos for the campaign, photographed by Tom Munro. The brunette A-list actress wears her signature bold red lip in close-up portraits, and gives a glance at the tattoos done on her back. 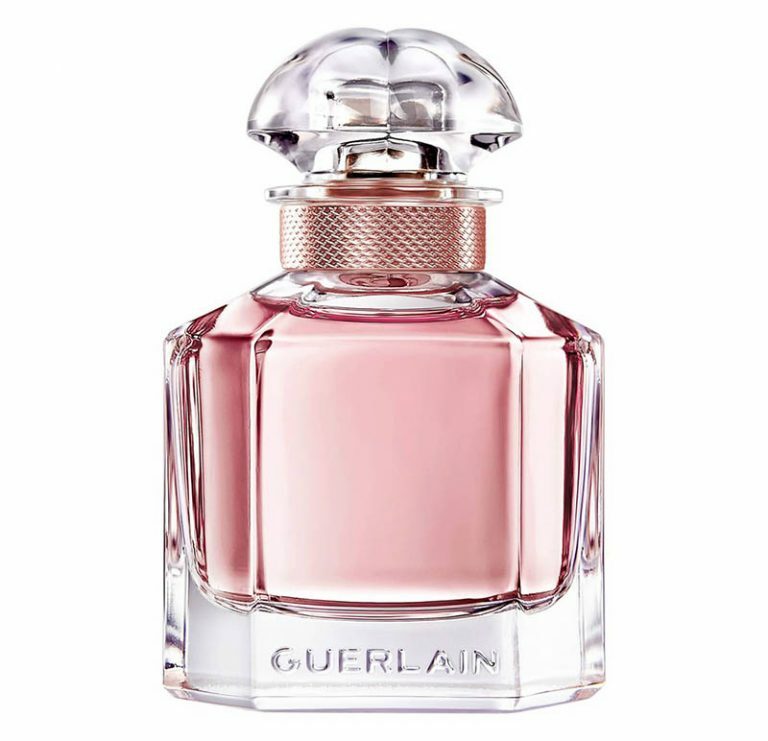 Guerlain's latest fragrance is described as a floral scent, featuring notes of lavendar, bergamot, iris and peony. Angelina Jolie also stars in another set of promotional images for the scent, photographed by Mathieu Cesar, and wears a sleek and sophisticated strapless white dress.